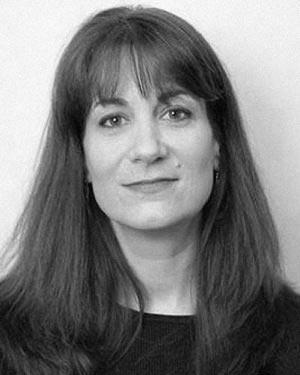 Anne Mundell is an Associate Professor of Scene Design, teaching classes such as Scene Designs One and Two, Scene Design Skills, Photoshop, Dreamweaver and Design Thesis. Mundell is also the Director of Growing Theater Outreach, a program that pairs Carnegie Mellon student mentors with Fifth Graders from an at-risk population as they write and produce a play over the course of eight months. She is one of the founding partners of The Roboceptionist project, an internationally recognized collaboration designed to make robots more approachable by giving them personalities and making them part of everyday life. One of her collaborative Roboceptionist projects, a chatbot named Athina, just opened as part of a permanent collection called “Roboworld” at the Carnegie Science Center. In 2007, Mundell won the Henry Hornbostle Teaching Award for excellence in undergraduate teaching and advising in the College of Fine Arts. She recently traveled to Prague with a delegation of students and faculty to participate in the Prague Quadrenialle, working with renowned scenographer, Pamela Howard on Birdwall, among other projects. She also worked to develop a summer experience for CMU students in Edinburgh, Scotland that ran successfully for three years. She continues her professional work as a Scene Designer and has designed and painted scenery for hundreds of projects and numerous venues throughout the United States. She occasionally designs costumes and museum exhibitions. She’s been pleased to employ many students as assistants. Anne serves of the Boards of Directors of The Murals Project (Marilyn G. Rabb Foundation) and Pittsburgh City Theater.